Russian Standard, lime juice, ginger beer, cucumber, ginger. Hendrick’s Gin, Kinley Tonic Water, cucumber, rosemary. White rum, Amaretto Disaronno, lime juice, cinnamon cigar. Absolut Lemon, Cointreau, fresh lime juice, cranberry juice. Vodka, tomato juice, worcester, salt, pepper, tabasco, fresh lemon juice. Vodka, peach liqueur, orange and cranberry juice, Grenadine. 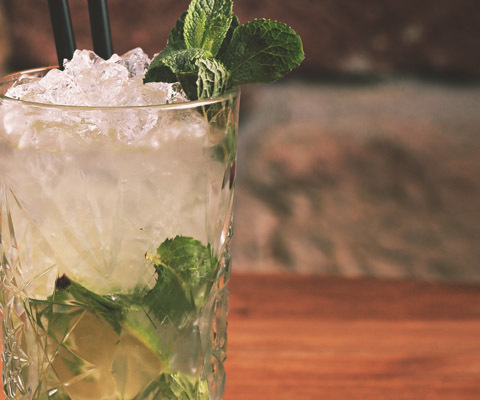 White rum, mint, lime, brown sugar, soda. 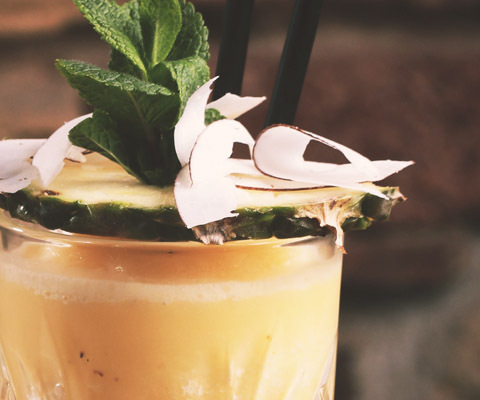 White rum, fresh pineapple, orange fresh, coconut syrup, cream, coconut shavings. White rum, vodka, gin, tequila, lemon, Coke. Cachaça Ypióca, lime, brown sugar. White rum, fresh lime juice, sugar syrup. 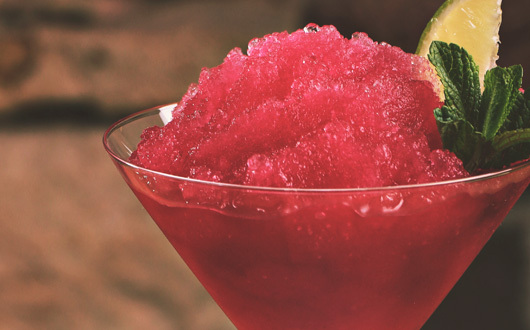 White rum, strawberry syrup, fresh lime juice, sugar syrup, strawberry. Gin, fresh lemon juice, sugar syrup, soda. Silver tequila, orange juice, Grenadine. Silver tequila, Triple Sec, fresh lemon juice. Vodka, lime juice, cocktail cherry. Mint, lime, brown sugar, apple juice. Decent bouquet wine, well-balanced, smooth with nice texture. Very gentle acid which makes this wine very nice despite of higher infusion. Prevailing smell of forest fruit, hazel-nuts and meadow flowers. Harmonic smell and taste with distinctive ripe peach, elderberry, vineyard in blossom and nettle. Best with spicy dishes and white meat with creamy sauces. Fresh wine of salmon colour with gentle forest fruit bouquet. Velvet long and full taste, blackberry and cherry flavour. Wine matured for 12 months in barrique barrels where it got fullness and mildness. Dark brick red colour, distinctive smell of raspberry jam, cocoa and caramel.